Earlier this week, Cherry Mobile rolled out Android KitKat update to Cosmos Z2. 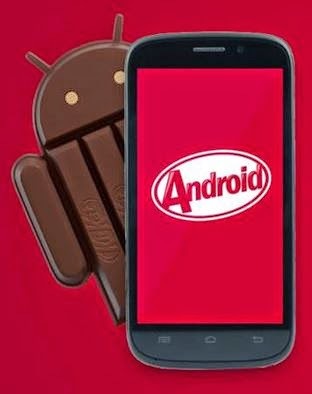 Yesterday, the local outfit has also announced a KitKat update to Cherry Mobile Omega Spectrum alongside the sought-after Cosmos Z2's release. 2. Insert your SD card to your Omega Spectrum. 3. Copy the H600_Kitkat4.4_ota.zip to your SD card using a micro USB cable plugged in to your computer. a. Please do not unzip the file. Just copy and paste it to your SD card. b. Please make sure that is the only .zip file that is on the SD card ( to be sure have your SD card formatted and delete the folders and files on your SD card except the H600_Kitkat4.4.zip ). 4. Turn off your Omega Spectrum. 5. When the Omega Spectrum is turned off. press the power button + volume up button for 5 seconds you will feel a vibration. 6. Choose english. To navigate, use volume up to scroll up and down to scroll down and press the power button to confirm. 7. Navigate again using the volume up or down button to select "apply update from external storage". Press the power button to confrim. 9. The upgrade will start, there will be yellow phrases. the last phrase will be "Install from sdcard complete". 10. Navigate again using volume up or volume down to select reboot system now press power button to confirm. 11. There will be a prompt that “Android is upgrading" please wait until it is finished. Upgrade to Kitkat 4.4.2 version of omega spectrum is now completed. For more information you can visit Cherry Mobile Service Center nearest you. Once you get the update, there's a box for comments below. Share to us how's the new update is treating you.